(571, M. L. Checote Collection, OHS). A Creek Methodist minister and politician, Samuel Checote was born near Fort Mitchell, Alabama, in 1819. A full-blood Creek, he received instruction at the Asbury Manual Labor School near Fort Mitchell. After the Creek were removed to Indian Territory, Checote and his parents settled west of Okmulgee in 1829. There, under the influence of John Harrell, a Methodist missionary, Checote attended Harrell's academy and from thence devoted his life to preaching. When the Lower Creek Council in 1832 and 1844 passed a law forbidding any tribal member to preach, Checote successfully appealed to Chief Roley McIntosh to repeal the law. Checote joined the Indian Mission Conference of the Methodist Episcopal Church, South, on October 28, 1852. Only during the Civil War did he exchange his devotion to the word of God to that of the sword. He began his Confederate service as captain of Company B of the First Regiment of Creek Mounted Volunteers on August 13, 1861, and on August 19, 1861, he became lieutenant colonel of his regiment. Postwar strife between Upper and Lower Creeks continued. Upper Creeks had been pro-Union, and Lower Creeks had fought for the South. 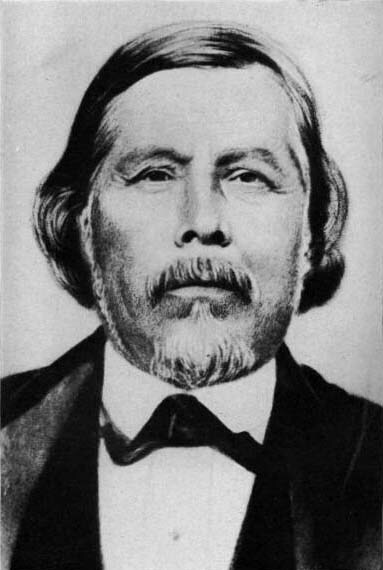 When Checote was elected principal chief of the Creek Nation in 1867, the factional conflict accelerated during the Green Peach War. His tenure as chief lasted for twelve years, and the Creek people saw a number of administrative and moral changes due to his leadership. He was selected a delegate to the Ecumenical Conference of the Methodist Episcopal Church in 1882; however, he was too ill to attend. Checote died in his Okmulgee home September 3, 1884. Angie Debo, The Road to Disappearance: A History of the Creek Indians (Norman: University of Oklahoma Press, 1941). O. A. Lambert, "Historical Sketch of Col. Samuel Checote, Once Chief of the Creek Nation," The Chronicles of Oklahoma 4 (September 1926). John B. Meserve, "Chief Samuel Checote, with Sketches of Chiefs Locher Harjo and Ward Coachman," The Chronicles of Oklahoma 16 (December 1938). Ingrid P. Westmoreland, "Checote, Samuel," The Encyclopedia of Oklahoma History and Culture, https://www.okhistory.org/publications/enc/entry.php?entry=CH012.